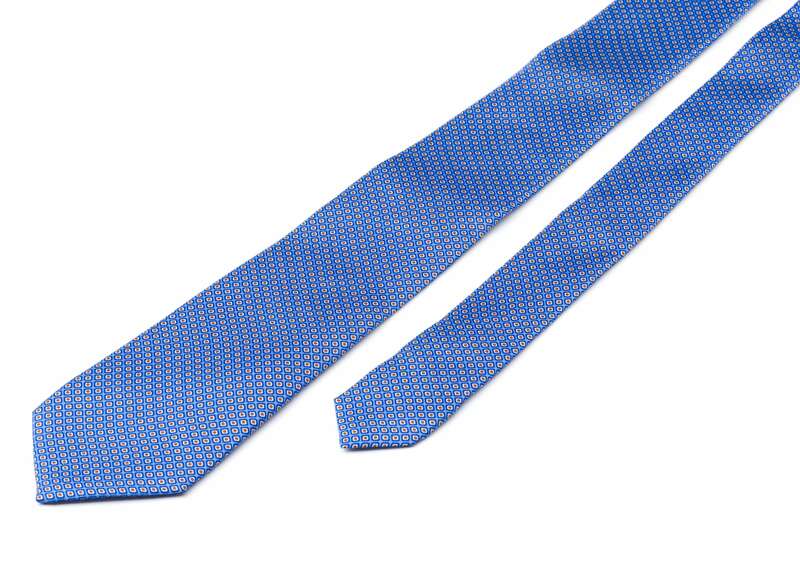 A multicoloured silk twill tie printed with a classic geometric pattern. 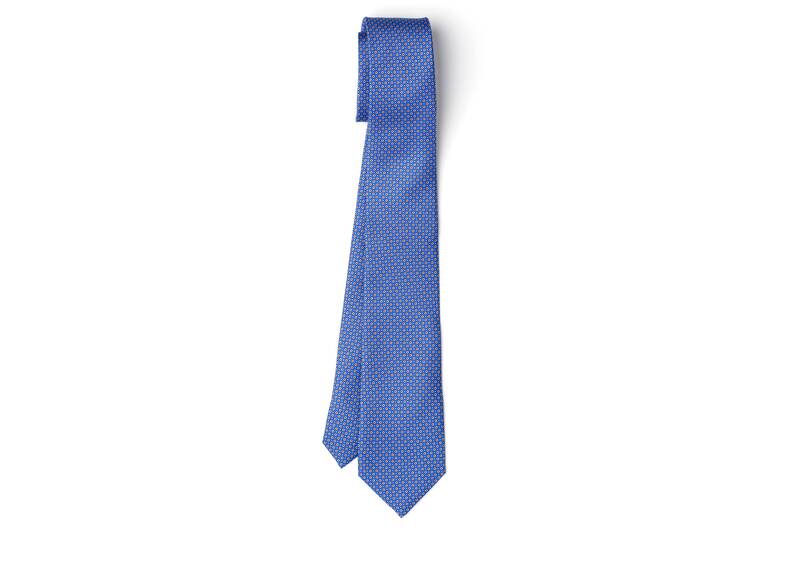 This tie is the epitome of smart accessorising, its no-nonsense motif is perfect for a formal office, yet it’s colourful enough to liven up a dark suit. Match with a pair of eye-catching socks.